Sriram Raghavan's AndhaDhun recorded excellent numbers in the weekdays in China making a total of Rs 136 crore, tweeted trade analyst Taran Adarsh. "AndhaDhun records excellent numbers in its extended opening weekend in China... Superb trending on weekdays... Thursday business is better than Monday, Tuesday and Wednesday business, which is a rarity... the total collection is $19.75 million (Rs 136.64 crore)," he tweeted. 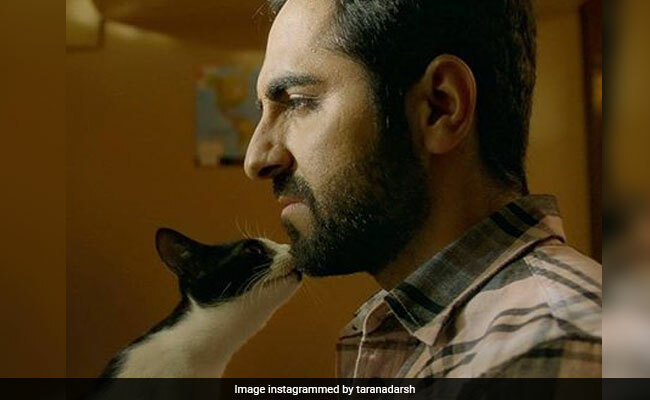 AndhaDhun, starring Ayushmann Khurrana, Tabu and Radhika Apte in the lead roles, crossed its India lifetime collection (Rs 74 crore) sixth day after it released in China. The film opened across 5,000 screens in China last week. #AndhaDhun records excellent numbers in its *extended* opening weekend in #China... Superb trending on weekdays... Thu biz is better than Mon, Tue and Wed biz, which is a rarity... Mon $ 1.46 mn, Tue $ 1.42 mn, Wed $ 1.50 mn, Thu 1.56 mn. Total: $ 19.75 mn [ 136.64 cr]. Speaking about the film's success in China, Ayushmann told news agency IANS: "It is a humbling moment for me and the entire team of AndhaDhun that after becoming a blockbuster in India, the film is also a blockbuster in China. Sriram Raghavan is a visionary director and I'm thrilled to see the love his film has been getting. He deserves all the success and more." "For me, personally, AndhaDhun doing Rs 100 crore in China is an incredible moment of pride. I'm delighted that as an artiste, I have contributed to Indian cinema making it's mark globally," Ayushmann added. AndhaDhun, a quintessential Sriram Raghavan thriller, is a story of a pianist pretending to be visually-impaired and how his life turns upside down after he 'witnesses' a murder. Last year, AndhaDhun also beat top earning films of 2018 - Sanju, PadMan and Raazi - to become IMDb's Top Indian Movie of the year.